Ryoga offers four main disciplinary classes: Yoga, Pilates, Bars and Fitness. You will easily find on our calendar classes tailored on the above-mentioned disciplines or on different combination of them. In order for you to become acquainted with these disciplines and to be sure you find the most suitable class according to your needs, we encourage you to follow the description below. RYOGA offers a wide range of classes from beginners to advanced practitioners. If you have doubts selecting the most suitable level for you, our Guest Experience Team will guide you through our scheduled timetable to help you find the right class for you. This discipline combines three elements: acrobatic playfulness, yoga awareness and the therapeutic purpose of Thai massage, working both on the column and on muscles. It is practiced in couple to ease sharing, strengthen teamwork, improve self-confidence and trust between partners. The apprentice flows from a position to another suspended with an elastic texture, exploring equilibrium and alignment. Gravity enhances a better realignment and relaxes the entire body thanks to a minor articulation stress. Yoga is experienced though a free mind and a light body, playing with inversions. The lesson will seem a Vinyasa class but enriched by the use of elastic textures. Ananda is a Hatha’s style, based on Paramhansa Yogananda, an indian master and author of “Autobiography of a Yogi”, which has been further developed by his direct disciple Swami Kryananda. “Ananda” means joy, blissfulness; the aim of this yoga style is mainly to reach happiness within all three-existence elements: body, mind and soul. 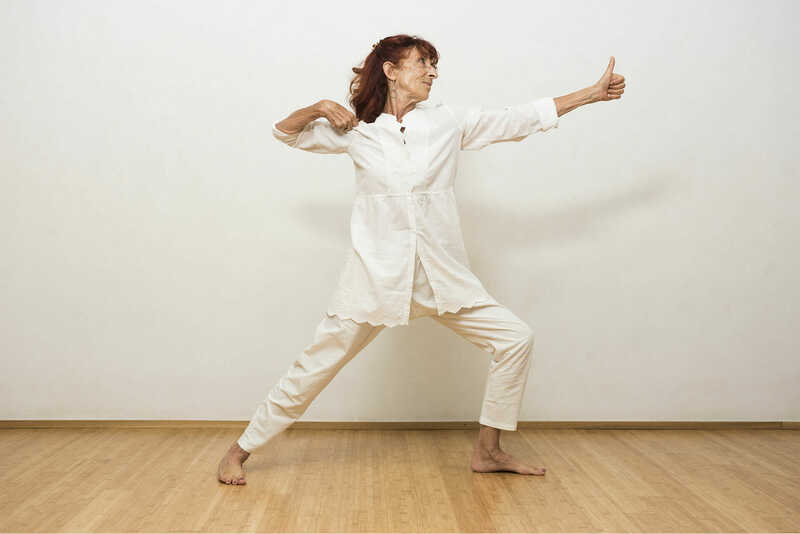 Anusara Elements is a dynamic practice based on Anusara’s features. The word “Anusara” stands for “flowing with grace”. This Yoga practice has a modern Hatha style focusing on tantric philosophy and on a deep knowledge of body alignment. The intent is that of respecting the abilities and limits of each apprentice, enhancing his/her expression of internal resources in his/her everyday lifestyle. Class starts with a Mantra chant invocation and with a philosophical/spiritual topic, which will represent the overarching theme of the whole practice. A challenging discipline but easily adaptable to anyone willing to start with an intense practice, fully balanced between strength and flexibility. It foresees specific positions’ sequences called out in Sanskrit by the trainer and dynamically performed. During the Asana practice the attention is focused on your breathing rhythm and gaze direction. The Ashtanga Yoga practice takes its name from the Indian city where Sri K. Pattabhi Jois has enhanced his teachings for years: Mysore. The apprentice must know by heart the Asana sequence as the class will not be guided by the teacher but rather individually and silently conducted. The teacher follows the apprentice through different positions and assigning new ones according to his/her personal achievements. A traditional Hatha Flow practice proposed in a more intimate and romantic version. This late evening candle light class has been designed to avoid daily stress and anxiety. The positions’ sequence, guided by relaxing harmonies will help concluding gently the day, also facilitating sleep. An energizing and light class, practiced in the early morning, designed to waken body and mind easing dynamism and health fundamental to face the rest of the day. This Hatha Flow style dynamic and recalibrating practice is recommended for beginners too and has a different focus every week. Hatha Flow adds flow to the static hold of both Asana and Hatha Yoga practices. Positions are connected in one single fluid sequence. The class rhythm is less tight compared to Ashtanga or Vinyasa practices and the class is open to everyone; beginners, intermediate and advanced learners searching for a physical but conscious practice. A classic practice with long-lasting positions, which are held and executed with care and a special focus on body alignment. Pranayama, Mantra and meditation complete every lesson in a different way. This class is ideal for a first approach to Yoga practices and to increase body and mind’s balance and stability. An intense Vinyasa practice executed in a hot room heated with infrared panels. The induced heat deepens the organism’s purification enhancing the elimination of toxins and accumulated liquids, thereby increasing muscular elasticity. Classes are always intense, do not follow a fixed sequence of positions and are characterized by dynamism and a variety of movements. A deep full-body training lesson shaped on heat’s detox power and an introduction to meditation. Positions’ sequence is executed in a continuous flow with an energizing music playlist. Class is open to everyone, from beginners to high-level apprentice. This discipline is highly recommended for whom is recovering from pathologies affecting the muscular-skeletal system. Besides mitigating chronic diseases such as lower back and neck pain, this class is useful to avoid stress within a gentle and soothing practice, where muscular relaxation is enhanced by infrared panels-generated heat. Within this class, positions are executed on the ground and held for a longer time if compared to classic yoga practices. Hot Yin aims at reaching an entire body surrender in view of an intense introspective work. Infrared panels-generated heat contributes to releasing muscles’ tensions. Conceived to increase muscular flexibility and tailored on athletes competing at every level, this practice aims at ameliorating performance, reducing accidents and abbreviating the expected recovery period. The focus is on loosening and relaxing muscles within infrared panels’ generated heat, alternating Asana’s dynamic and static sequences, through the use of foam roller, belts and blocks. During the course, mainly tailored on beginners, the teacher introduces basic Yoga features, as for instance: Pranayama, Asana and meditation. An accurate analysis of basic positions is made, through a careful execution description, with a special focus on body alignment and breathing techniques. Iyengar’s most relevant aspect lies within body alignment. Positions are held for a long time and executed with the help of little blocks, belts, blankets and chairs. Our studios are equipped with Yoga Walls and adjustable belts in order to experience positions which could result difficult to be practiced on the ground, easing the performance. 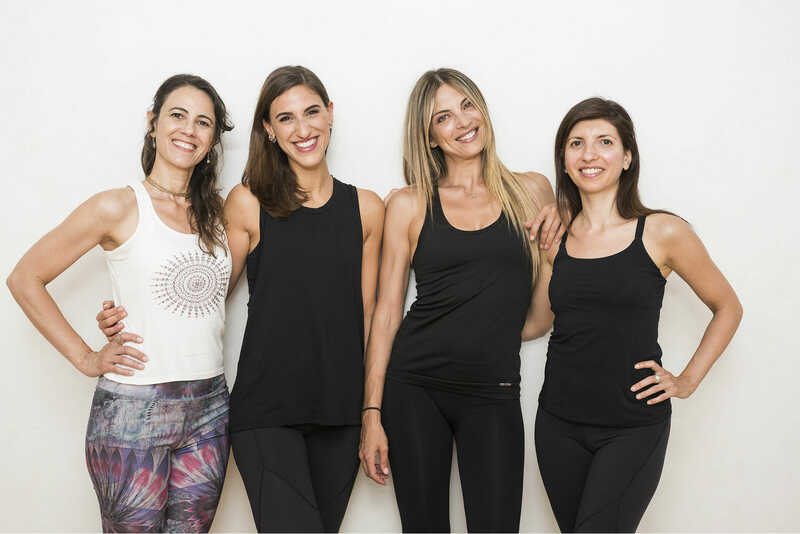 This discipline embeds ancient Yoga teachings and a vigorous Vinyasa practice supported by Pranayama, music, Mantra and ancient texts readings. Life aspects that connect us to Earth as well as compassion that bind us to every living thing, are deeply explored through a modern, lively and ethic approach. This preliminary course to Jivamukti class is divided in five sections: in the first, feet positions are taught; the second focuses on forward bending positions; the third conceives backward bending positions; the fourth is a synthesis of all issues addressed within all the previous lessons. Moreover, a deeper knowledge of inversions is conducted until the lesson ends with a closing guided meditation; last section is a Vinyasa practice specifically tailored on beginners. An Extra Large Jivamukti lesson, approximately two-hours long, during which every Jivamukti lesson issue (i.e. “Shastra” writings, “Bhakti” devotion, “Ahimsa” non-violence, “Nada” music, “Dhyana” meditation) are deeply explored. This class provides a monthly focus: Vinyasa sequences supported by chants, conscious breathing, relaxation and meditation. Eclectic and exuberant music plays a central role within this practice. Through a playful approach also children become aware of their body, breathing, energy and emotions. Practicing simple Asana, recalling animals and natural elements, children improve strength, flexibility and balance, developing concentration and relaxing capabilities. Through the use and elaboration of specific techniques combining breathing and rhythmic movements, besides Mantra and Mudra, followed by deep relaxation and meditation exercises, Kundalini awakens creative energy within each of us. Meditation is a discovering journey. In Tibet meditation enables to discover oneself, despoiling our soul from what obstructs a clear view and letting our soul be. This practice leads us to find our true essence but also the limits of current thinking (conceptual), entering in close contact with ourselves and with that silent, but aware, space within our deepest thoughts. The course is designed to create Satsang (sharing of living being), a chance to explore through silence the sense of meditation and of spiritual research. A fluid and introspective Yoga style, where deep listening of what goes on around us becomes a priority, as much as in Asana, than in breathing moments. Movement exploration is carefully guided to find blocks and conditionings within our body, activating new and creative paths to eliminate restricting schemes. This represents the perfect preparation to meditation practices such as Vipassana. The aim of this class is to discover and manage better our body’s potential in order to use it in different contexts: from everyday activities, to competitive performances. 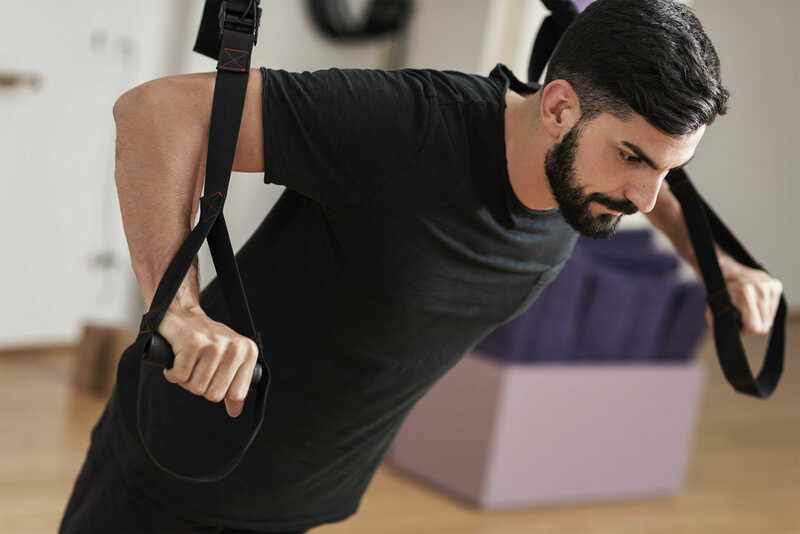 Mobility helps refining movements making them wider and controlled, through active and passive flexibility, joint mobility and strength-dedicated exercises. This lesson is based on an intense cardiovascular work, carried out through a growing sequence of positions. The practice focuses on a combination of strength and flexibility, deeply stimulating muscles and strengthening their tone. According to Patanjali, Pranayama represents the fourth step within Yoga’s path. Only after improving positions, the apprentice can start practicing the breathing techniques within them. From “Prana” breath or energy and “Ayama” extension, regulation and control, the art of Pranayama foresees practices able to intentionally and rhythmically move and extend breathing organs. Regulating breath through the mentioned techniques, the practitioner’s thoughts, desires and actions are controlled. Pre and post-natal Yoga helps future mums living peacefully both psychological and physic changes, preparing them for birth experience and supporting them also through their post-natal phase. Exercises are carefully conceived to provide benefits for the column and pelvic floor muscles, working simultaneously on conscious breathing, guaranteeing a better oxygenation for the mother and foetus. This is a one-hour Vinyasa lively lesson structured on a fixed sequence of positions. Perfect for busy days when time at disposal is not much but you wish for an intense and balanced practice. The teacher calls out the Asana and gives breathing rhythm, mitigating as much as possible further instructions. A strong and energizing style characterized by a continuous positions’ flow, where every breath corresponds to a certain movement. Lessons are always changing; as they don’t share a sequence of fixed positions, therefore this class is ideal for those looking for a dynamic style. This practice is composed by an initial meditation phase, followed by Pranayama and Mantra chants, before moving to a physical and mental work. The Asana are structured within harmonious sequences, suitable for learners at all levels, from beginner to experienced practitioners. During this lesson spiritual practice blends with physical activity, in order to lead learners towards a body, soul and mind union. This lesson associates Pilates with aerial fabric. Work is performed hanging or partially suspended on a hammock, starting with ground exercises with the help of fabric until full body suspension exercises are gradually performed. Hammock represents both a support and a challenge: it challenges consciousness and stability, but can also become a deep relaxation support. This lesson blends deep muscular Matwork with a careful alignment through postural gymnastics, designed to be carried out in early mornings, in order to wake body and mind through gentle but energizing exercises. A programme based on mat exercises, focusing on postural muscles. Matwork exercises supported by little weights, elastics and foam roller, lead to the improvement of breathing and aligning consciousness, strengthening muscles of the deep torso (abdomen, buttock, adductors and lumbar region), to relieving and preventing back pain. This lesson is dedicated to a limited number of practitioners (4 in total) and aims at strengthening core muscles, re-aligning posture and ameliorating flexibility through the use of traditional machines conceived by this method (Reformer, Cadillac, Chair and Ladder Barrel). In order to participate, the purchasing of a specific entry package is needed. A lesson inspired by classical ballerinas warm-up method. Through an aerobic intense work session, mainly carried out with the help of bars: legs, buttock, abdomen and arms muscles’ are extended and strengthened. Bars lesson structured on the famous Tracey Mallet method. This energizing and fun training is based on specific sequences aimed at toning and defining the whole body. This discipline is defined as “functional” as it provides training designed to ameliorate the entire body’s movements rather than a singular muscle area. Functional exercises are body and movement-centric through overall movements activating kinetic chains with a synergetic approach and with a high expenditure of calories. Lessons are characterized both by free-body workouts and through the support of specific tools (i.e. Kettlebells, Sandbags, Suspension Trainer, etc.). Being functional means being strong, coordinate, flexible and nimble. This lesson is a new American method combining Pilates with ballet elements within an intense full-body workout. The class sculptures and extends muscles enhancing flexibility as well. Exercises are all carried out on mats and are divided in a series of repeating movements involving abdomen, buttock, internal/external legs and arms.